THE Canberra Greyhound Racing Club will appeal a court’s decision to deny an extension on its current lease. 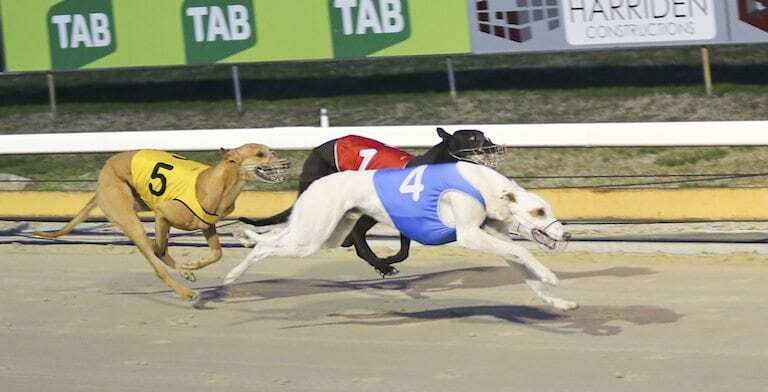 Chief Justice Helen Murrell turned down the Club’s request to grant its lease extension, labelling the move ‘futile’ after the legislative assembly passed legislation last November which would make greyhound racing unlawful from April 30. However, CGRC spokesperson Kel Watt said the local industry is still considering last Friday’s verdict a victory after Murrell also ruled that the Government failed to follow proper legal processes when announcing the ban and that all of its arguments against the sport were flawed. “In the grand scheme of things we are considering it a moral victory,” Watt told Australian Racing Greyhound. “It is a demonstration of the lack of fairness which has been applied by the government. “We now have absolute proof – it’s not just the club or greyhound racing spokespeople claiming they have been treated unfairly. The ACT government declared its intention to ban greyhound racing after Mike Baird’s infamous decision to end the industry in NSW in July 2016. While Baird ultimately back-flipped due to public, political and media pressure, the ban in the ACT has remained despite the club having an unblemished record in relation to integrity and animal welfare breaches throughout almost four decades of operation. However, the local industry isn’t going down without a fight. The recent court case was brought on by the CGRC which had alleged the Government had failed to fulfil its legal obligation to grant a request for a lease extension in April last year. The CGRC has leased the land for 50 years, with its lease due to expire on November 22, 2027. Legally, the authority is required to operate independently when making decisions about leasing matters, however copies of emails from May and August 2017 and documents obtained under Freedom of Information for the case showed senior public servants and the Minister’s Office were colluding to stop the club’s lease extension application as far back as May 2017. The CGRC says Friday’s decision and the case’s evidence mean ‘the integrity and honesty of ACT lease management is badly compromised’. The CGRC will now move to the next stage of its legal battle. It will again face the ACT Government in court this month when it challenges the validity of the legislation to ban greyhound racing as well as a series of constitutional issues. Watt said the Club is in the fight for the long haul and won’t be conceding defeat anytime soon. “We made the commitment more than 12 months ago that we would not stop until every legal and political option has been exhausted and we are a long way from that – we are still only in the first stage,” he said. Canberra greyhound enthusiasts had more to celebrate on Sunday night when the peoples’ champ ‘Community Values’ broke through for its first win at Canberra. Opposition gaming and racing spokesperson Mark Purton syndicated the dog last year, with 19 shares selling within an hour, all in support of greyhound racing in the ACT. After three second placings, the black dog finished strongly on Sunday to salute in handy time.